Below is an outline of the course that roughly corresponds to each class session. It is important to emphasize that the outline is subject to change based on demand, timing differences, etc. Links will become live close to the time of each class. Assignment: Problem set 1 (due before class 6). 1. Is the turbine business a good one to be in? 2. What are the sources of competitive advantage for GE? 1. Why did IE overtake Netscape in market share? 2. Did bundling play a role? If so, how? 3. Was this an effective strategy for Microsoft? Write-ups for mid-semester presentations are due 10/27. Final Projects due week after last presentation. (i) Apply game-theoretic analysis, both formally and intuitively, to negotiation and bargaining situations. 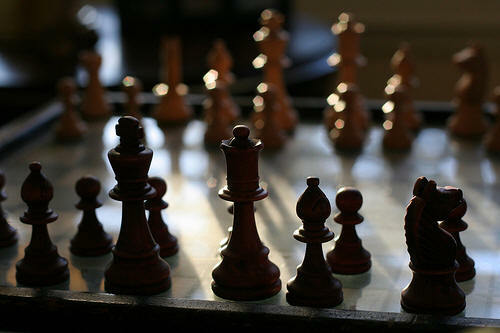 (ii) Recognize and assess archetypal strategic situations in complicated negotiation settings. (iii) Feel comfortable in the process of negotiation. The course has a strong experiential component. Students will repeatedly participate in a variety of strategic situations thereby developing the ability to translate their analyses into practice. A working knowledge of basic calculus and ease with algebraic manipulation are prerequisites of the course. Prior exposure to microeconomics is very helpful. If you cannot attend for any reason, I ask that you contact my assistant Sibo (sibo@berkeley.edu) and let her know. Much of the learning in the class comes from your active contribution, so reading and thinking before class and actively conversing during class are key ingredients to a successful learning experience. In order to be prepared to participate effectively, you should read carefully the in-class exercises prior to coming to class. Reading should be active: as you read, think about your strategy, what assumptions you are making in deciding on this strategy. Also try to think about how others in the class might develop their strategies. You should be prepared to defend your actions in the class using logic, evidence, and calculation. To help you to gain ease in applying the tools of game theoretic analysis to the situations you will participate in during the class, there will be almost weekly problem sets and reflection essays. The combination of attendance, participation, and problem sets count for 25% of the course grade. To help to bridge the gap between the analytic tools and their use in the real-world business situations, you will be asked to prepare an "issue-spotting analysis" due on the 7th week of class. This analysis, which should be 5-10 pages long, asks you to analyze a real-world issue "ripped from the headlines" where the techniques of game theoretic analysis might be fruitfully applied to aid in developing strategy. These analyses, which may be done in groups, are due prior to the start of the 7th week of class. You will be asked to make a short presentation of the issue you chose and your analysis during class. The final project, which is the "capstone" component to the class, asks you to find an issue or situation of strategic relevance where you can bring to bear a variety of ideas and techniques developed during the course. The final project can be a broadening and deepening of the issue-spotting analysis you did earlier or can be on a completely separate issue. Again, you are free to work in groups. One-third of your grade for this project is determined by a 10-15 minute oral presentation during the 16th week of class. The remaining two-thirds of your grade for the project is determined by a 10-20 page write-up of your analysis. The page limit is based on a double-spaced paper exclusive of any tables or exhibits you wish to include.